In our life, we are constantly looking for meaningful connections, aren’t we? Even though it is more probable that we connect on a much personal level with those whom we interact and meet on a day to day basis, in a world which is full of inspirational stories and fascinating people, we start to make a distant yet emotional bond with people from different walks of life too. As we keep on exploring different facets of the world, we are moved by the success stories of people not only within our field of domain but also from every other corner of life. 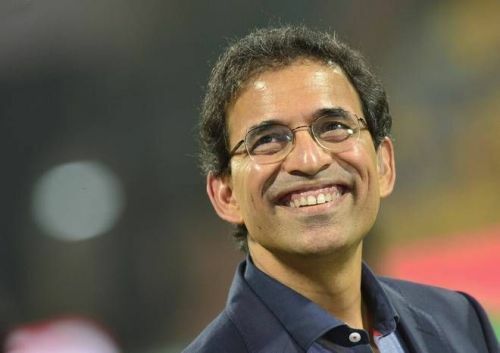 One such person who rather has been an integral part of cricketing folklore for many years now and the one who certainly has a special place in the heart of every cricket fan is none other than Harsha Bhogle or Voice of Cricket as they commonly refer him to. The article is about the story-teller who has narrated beautifully and artistically innumerable stories of cricket so far, thereby enhancing the aesthetic beauty of our beloved game. For an outsider who doesn’t understand the sport that much, following the commentary of any particular match or reading about any sport can be equivalent to say for example like a Chemical Engineering student attending the lecture of Electrical Engineering. And with the heavy data, number crunching and complex rules associated the game, it makes the life of a broadcaster more so difficult to narrate about the proceedings in a way that general public can understand and at the same time enjoy the sport. In simple words, the significance of Harsha Bhogle and his ability to tell the story can be relatable to an amazing professor of an university who has an unique knack of simplifying the complexity of the concepts and explaining those to his/her students in a way they not follow his/her teachings but also enjoy the concepts itself. Yes, he has been blessed with a tremendous voice and helped with a background in advertising and management. However, to produce something new, something all-together refreshing each time he is in front of a mic is nothing short of spectacular. For a man who hardly has any cricket playing experience behind him, to sit alongside some of the brightest stars of the game of cricket is an exhilarating story in itself. It certainly demonstrates the fact that if you believe in your own brand and it’s value, you do not need any approval from others. As Harsha himself said sometime back that he always was a non-striker and in his company in a commentary box, he made the likes of Gavaskar’s and Shastri’s look great. But little did he know back then, he himself was slowly but surely becoming the topic of headlines. Just as the likes of Richie Benaud, Tony Greig and Bill Lawry have a special place in the world of cricket commentary and broadcasting, Harsha Bhogle surely has a full page reserved just for himself in the book of greatest broadcasters ever if we had one. His words, when they reach our eardrums, create magic. They speak much beyond cricket and most importantly, touch our heart just as a cool and refreshing breeze mesmerizes us with its tenderness on a hot summer’s day. Harsha’s unbiased opinions about the situations, unadulterated perceptions about the game and the style of broadcasting that is very unique and one of its own kind, has made the experience of cricket viewing not only enriching but also enjoyable throughout these years. We hope Harsha keeps on enthralling us with his words of wisdom and unique stories in a way in which only he can narrate. For him, cricket broadcasting was always like an art form rather than number crunching, which is exactly why we adore and love him and will continue to do so.